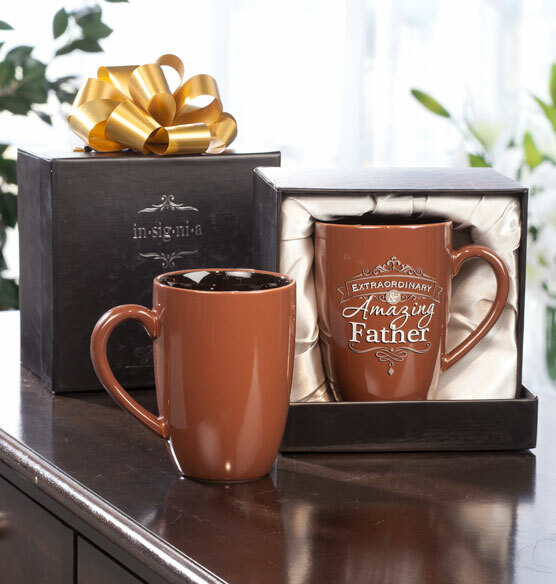 Let a favorite guy in your life know how much you admire him with this attractive personalized Insignia mug for him. 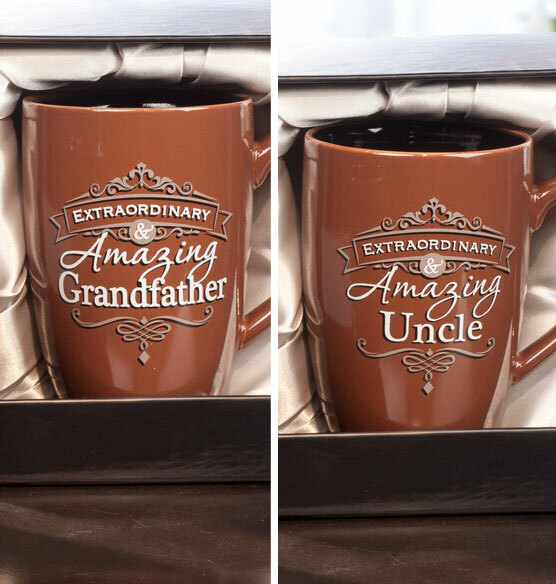 The front reads, “Extraordinary & Amazing,” and the back is personalized just for him. The exterior is a rich brown color, with a black enamel-covered interior. Available for a husband, father, son, brother and uncle. The personalized coffee mug comes ready for gift-giving in a lined presentation box. Took 3 weeks to receive since the time I placed my order. It was a handsome coffee mug to put on my brothers desk and remind him how special he is to me. For brother-in-law. Need one more line to put name on. It is not really "personalized".